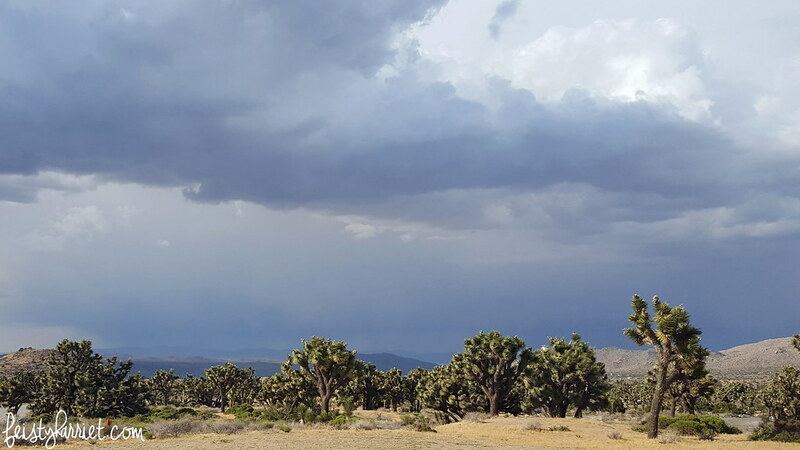 Joshua Tree National Park in the desert/deserted part of Southern California is a completely other-worldy place. 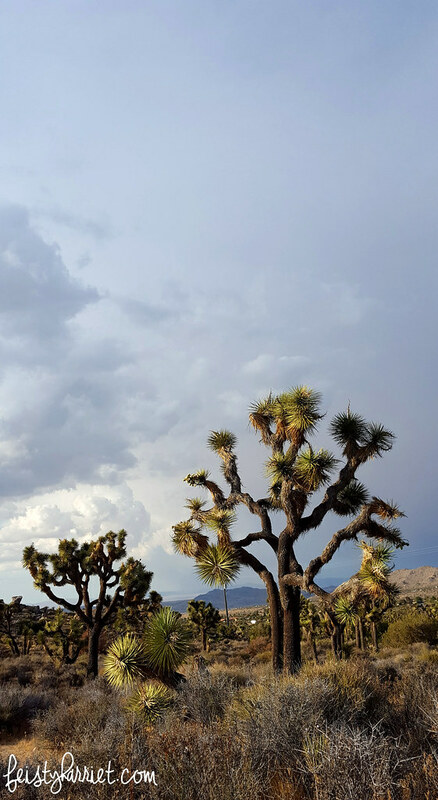 I mean, I’ve seen Joshua Trees many times as I criss-cross the dry and seemingly barren spaces of the Wild West, but I’ve never wandered around dozens and dozens of them, and I’ve never seen them glow with that low afternoon golden light. My late afternoon hike in Joshua Tree consisted mostly of my trying to get plenty of photos that I liked, while trying NOT to get stuck by cholla cactus spines. I was moderately successful on both fronts. These trees really do feel like a cross between some kind of alien life-form and something Dr. Seuss/Tim Burton would dream up. And the hills are COVERED in them. 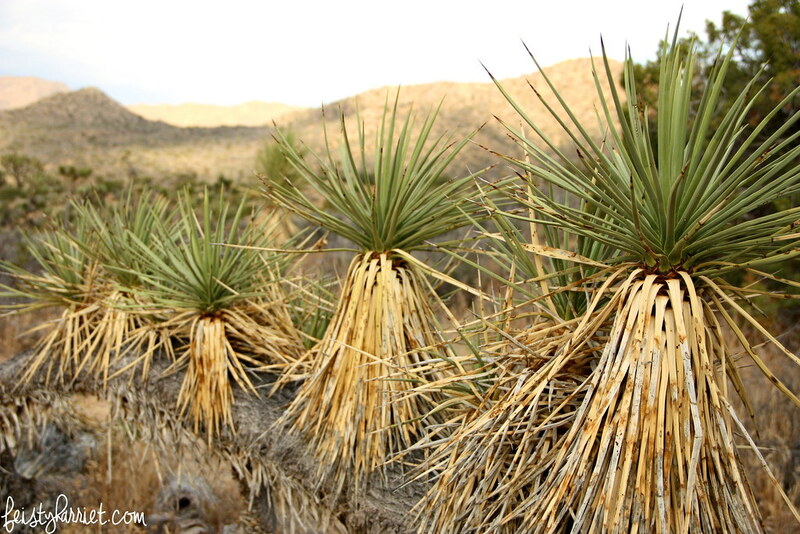 They weren’t super close together, there’s definitely not enough natural water for that kind of density, but I felt like the Joshua Tree soldiers just went on for miles and miles, never thinning out, never clumping up, just well-ordered spike-balls on sticks, marching away into the distance. So weird, so alien, so gorgeous. 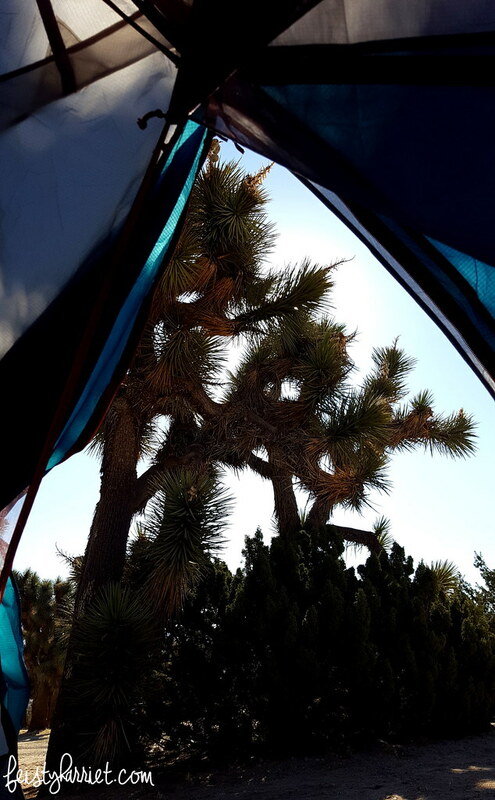 My visit to Joshua Tree included spending a night solo camping; I have never been afraid of road tripping by myself, but it was a new experience to go camping by myself, and one that at times made me a wee bit uneasy. I mean, I was staying in a well established campground at a national park, it’s not like I was camped on the side of the road near a high security prison, or anything. But still, there were nerves. I’m glad I didn’t chicken out and go stay in one of the motels in town, honestly, they looked quite sketchy. Besides, the sunrise over the trees was just gorgeous. 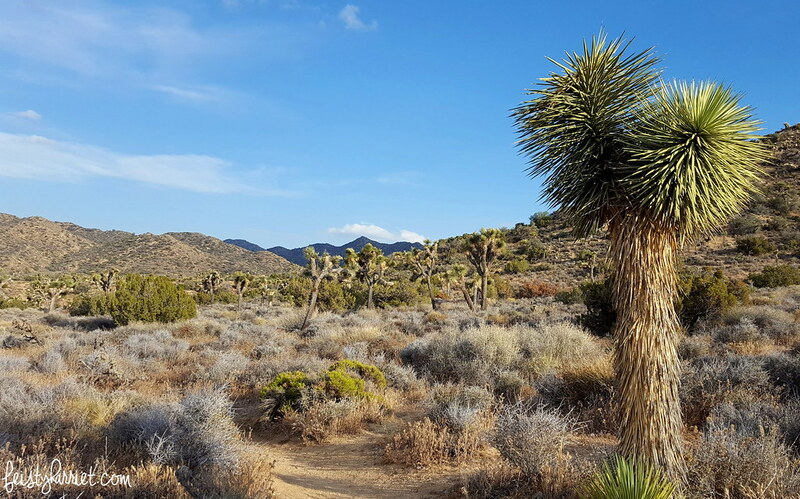 For the record, I stayed in Black Rock Campground on the north side/Yucca Valley side, mostly because they accepted reservations and I didn’t want to be solo camping AND short one camp spot, and then end up on the side of the road. Ahem. One of my life goals is to visit 50 National Parks, after last weekend I am sitting at a pretty reasonable 19, I’ve got a lot more adventuring to do! That being said, I would definitely visit JTNP again to do a little more exploring. Until next time, Joshua Tree! You can view my whole photo album here. 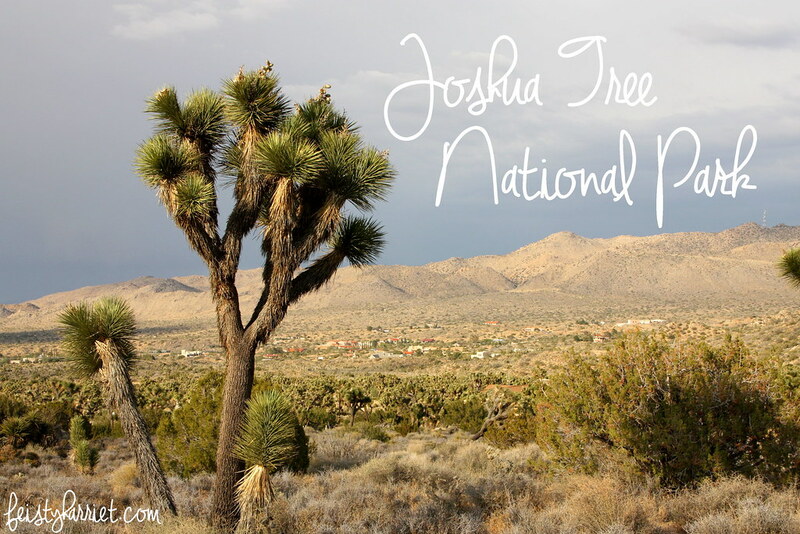 Have you been to Joshua Tree!? What kind of hiking or exploring did you do? 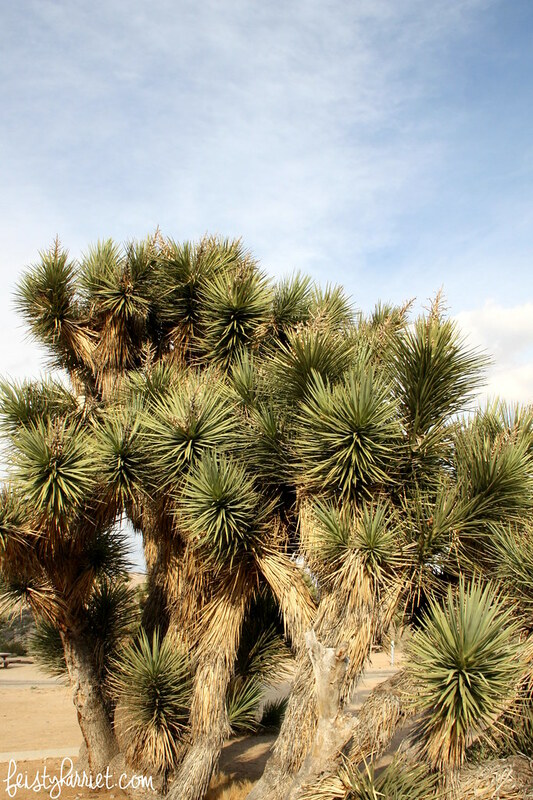 This entry was posted in Far Off Places, National Park, Photography and tagged California, Camping, Desert, Joshua Tree, National Park, Photography, Road Trips, Travel, Traveling by Feisty Harriet. Bookmark the permalink. 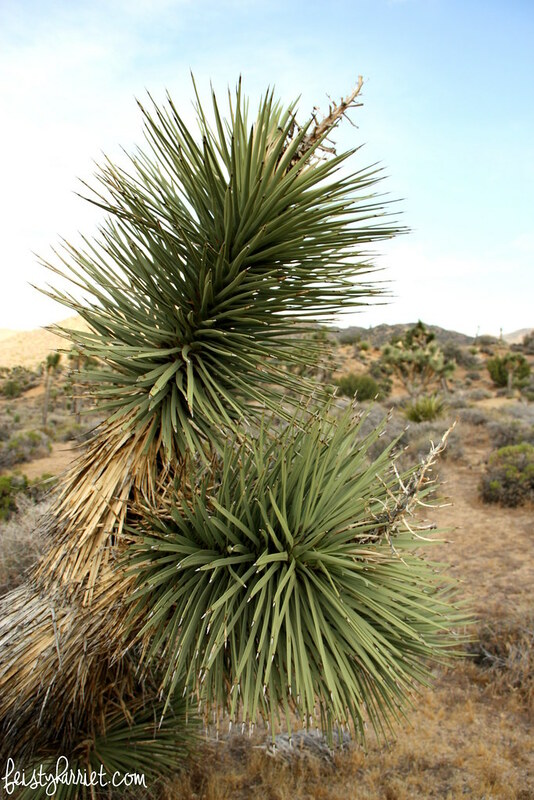 Love JTNP! It’s one of those places that you visit and you are like, this is really in the US? Did you get to see the Southern part of the park? It’s crazy how much the terrain and the plants change- in the southern part I felt like I was on the moon or something.